Microneedling at Ariba Medical Spa Is the Best Microneedling in the Bay Area. 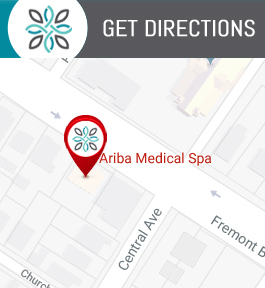 Visit the Silicon Valley’s Hidden Gem, the Best Med Spa Near You, Ariba Medical Spa! We are Conveniently Located at 37553 Fremont Blvd, Fremont, CA 94536. Contact Us at (510) 894-0969. Microneedling, offered at Ariba Medical Spa in Fremont, California, is one of the best ways to reverse the signs of aging and minimize the appearance of scars. Top aesthetic specialist Tariq Mirza, MD and his team can help restore your youthful, glowing skin with advanced Vivace™ fractional microneedling radiofrequency treatments. If you’re ready to experience the benefits of this innovative microneedling treatment, schedule a skin evaluation by using the online scheduling feature, or by calling the clinic. Fractional microneedling radiofrequency treatments with Vivace combine traditional microneedling with energy wave technology. This revolutionary microneedling system involves gliding a specialized tool, which contains dozens of micro-thin needles, all over your treatment area. The goal is to create tiny puncture wounds, which stimulates a healing response in your body. Over time, your system starts regenerating cells and tissues that were “damaged” from your microneedling session. Your body pushes out the old, damaged skin, allowing fresh, new skin tissues to surface. What’s particularly unique about microneedling with Vivace is that the system’s handheld device delivers radiofrequency waves to your skin. That helps stimulate collagen production, which ultimately gives you tighter, even-toned, younger-looking skin. What is the recovery like after microneedling? Microneedling with Vivace is so advanced, your skin starts healing right away. In many cases, you’ll be ready to take on the day, with very few signs that you had a treatment done just hours before. Talk with Dr. Mirza if you have an important event coming up later on that day, or within a couple of days following your treatment. He might suggest trying a specialized soothing mask or applying a recovery serum. These products can minimize the appearance of redness and decrease some of the slight swelling that sometimes occurs after microneedling. When will I see results after microneedling? You should start noticing more vibrant, youthful skin within the first week or two after your microneedling session. Dr. Mirza generally suggests having three Vivace microneedling treatments, each about 4-6 weeks apart, to achieve optimal results. With a 98% satisfaction rate, you’re going to love your skin after your Vivace fractional microneedling radiofrequency session. When you think of needles, you probably associate the treatment with pain. But the microneedles involved in this skin treatment are so fine, you shouldn’t feel any discomfort. Additionally, the team of skin care specialists at Ariba Medical Spa can apply a topical numbing cream to ensure your treatment is as comfortable as possible. Most men and women describe a light pressure sensation, or an occasional gentle spark, but not pain. Book your microneedling session or consultation at Ariba Medical Spa either online or over the phone.